I recently befuddled a friend with the title I’ve given my next play, ‘Cosy’. ‘But it’s about growing up, and ageing, and rubbish families and death!’ she exclaimed, ‘That’s hardly cosy material!’ ‘Exactly,’ I said. This conversation made me reflect on the names we give things and the relationship we may have with titles. With plays, I either struggle and need suggestions and prompting, or I know straight away. I like titles of plays that hint at what I might experience if I attended a production – what’s been called ‘the promise’ is often there in the name. I like contradictions, or irony, or something that makes me pause and wonder about the content in an almost metaphysical sense. Beckett’s ‘All That Fall’ or ‘Rockaby’ lingered long after experiencing the text and production. Shakespeare may have claimed a rose by any other name would smell as sweet, but think of the added information that seeps through from knowing the character is called StJohn or Jerzey; Jonah or Jezebel; Shiraz or Shona, Sankaran or Steve. A sense of cultural heritage, class, social aspiration and period can be assumed through personal monikers. Names are signifiers and they carry significance; more often than not they are a tip to the audience. It is not by chance that Ben Johnson’s protagonist in his Jacobean satire of lust and greed is called Volpone – Italian for ‘sly fox’. Names can allude to character and disposition in an efficient, almost effortless way. Traditionally protagonists or heroes have big, heroic-sounding names – Lysander and Titania, Hermione and Ulysses. There is an underlying assumption of what a tragic or inspirational protagonist should be called – an assumption subverted to comedy effect by Monty Python in The Life of Brian. Giving a character a name can be a significant moment for the writer in the process of making. It is perhaps when the fragmented flitting thoughts start finding shape in human form. When I’ve worked with writers on emerging scripts, some arrive with a name of a character as a starting point, and work outwards from there, guided by a sense of the individual’s personal traits, politics, guiding principles, almost as if they exist in reality and the writer personally knows them. Others, like me, may not have a name until well into the process. I sometimes have letters or numbers – 1, 2, 3, 4 – chosen simply by the order in which these emerging figures arrived on the page. When I find these numeric names limiting and annoying, snagging on my eye each time I read over the page, I know I have moved onto the next phase of development. Naming characters always come swiftly. If I stumble between options, or dither, going eeny-meeny-miney-mo, I realise I don’t know enough yet about the character, or s/he is not yet sufficiently drawn to merit a title. I can truthfully say I have never regretted a name I’ve given to a character, but that act of choosing has a galvanising effect on the way I engage with the character on the page, impacting on the words I put in her mouth, or the actions I give him. I’m not sentimental about my work, so I never see them as my creatures or (god forbid) some kind of golem offspring – they are vehicles for my thoughts, or ideas I want to explore – but calling something brings it forth into being. Name it, and it is. Some years ago I was asked what I, as a writer, actually did all day. I was in the process of revising a script, so I answered truthfully: I spent the whole day talking to my imaginary friends. Writing can be noisy work. Performance writers are creating dynamic, pace, tension and flow. All that, plus characters, plot, aesthetic, and the world of the play is created through dialogue. Owing to this, I can’t stress enough the importance of knowing how your words move when spoken aloud – how they feel and emerge from a living mouth – what your work sounds like when uttered in a room. 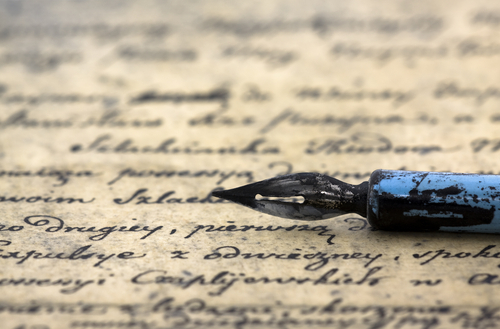 It is often only in a read-through of a script we become aware of any tongue-twisters or difficult sentences we may have inadvertently created; it is there we note if a line sounds stilted, histrionic, or chimes false. Sudden unexpected little rhyming couplets emerge and accidental puns or double entendres. It is alarming how often what we thought we knew so well can surprise us – even ambush us. Reading the dialogue aloud when you write it is one way of avoiding this. I find I can identify sections that are ‘flabby’ or need attention simply by half-murmuring the lines when I read the play. I can also find the sentences that jar because there are too many syllables in them, or not enough – and all this impacts on the greater whole. Plays are written to be spoken. It makes sense that we should check the rhythm and flow by saying those words aloud. It helps us to check whether the dynamic between characters moves in the speed and pace we want at that moment. I often compare writing to composing music – it’s good to check each section follows the patterns and has the energy appropriate to the atmosphere we are trying to create at any point. I’ve worked with writers who are bewildered as to why a scene which they know should work doesn’t. They’ve honed it, included all the necessary components of plot, rising tension, good characterisation – and yet it still doesn’t have the desired impact or emotional effect. We have then edited a few lines – perhaps changed the length or rhythm of several – and suddenly, to their astonishment, the moment works. A speedy staccato back-and-forth may undermine and destroy a tender moment, or one with tension and gravitas – but that dynamic leading up to a slower, more evenly spaced section can help heighten the moment by contrast. Movement of text has an impact on the audience and how it receives the information. Try and ensure you use the appropriate dynamic, flow, vocabulary and interaction. Reading the text aloud will help this. In preparation for my work teaching dramaturgy in Singapore at the Intercultural Theatre Institute next month, I’ve been collecting definitions of what is often, in the UK at least, a slippery customer…. My seminars will be part of four perspectives – the playwright’s, the director’s, the actor’s and designer/scenographer’s. I’m excited, as part of the time I will be co-teaching with collaborators from actual productions of my plays, or performances we have co-created. We will be deconstructing the text, roles, and decision-making process, as well as sharing play texts and video/documentation of those specific performances with the students. I hope this will demystify what can be a perplexing and opaque process, and is the most holistic and revealing approach I have yet to come across. ‘The term “dramaturgy” refers to the art or technique of dramatic composition and theatrical representation: the means by which a story can be shaped into a performable form. All performance works have a dramaturgy, mostly sharing a set of base principles but diversifying widely within that. This dramaturgy is first created by the playwright/ makers when they construct a story for the stage, is developed in rehearsal by the director, designers and actors and then comes to full fruition in the interaction the performance has with its audience. This process varies, particularly if the piece is devised or physical, but the key points remain. I will be sharing further perspectives and experiences later on this blog. Writing for Performance Masterclass. Ty Newydd. 9-14 Feb 2015. 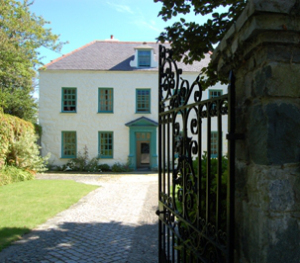 I’m delighted to give exclusive advance notice for a residential course I will be teaching in February 2015 at Tŷ Newydd, Lloyd George’s former home, now the national writers’ centre of Wales on the beautiful Llŷn Peninsula. This new course, the first of a series of three masterclasses, is for a small select group of writers committed to writing for performance. Course details are not yet available on the Tŷ Newydd website, and places will be offered on a first come first served basis. All enquiries should be directed to Tŷ Newydd at the contact details, below. 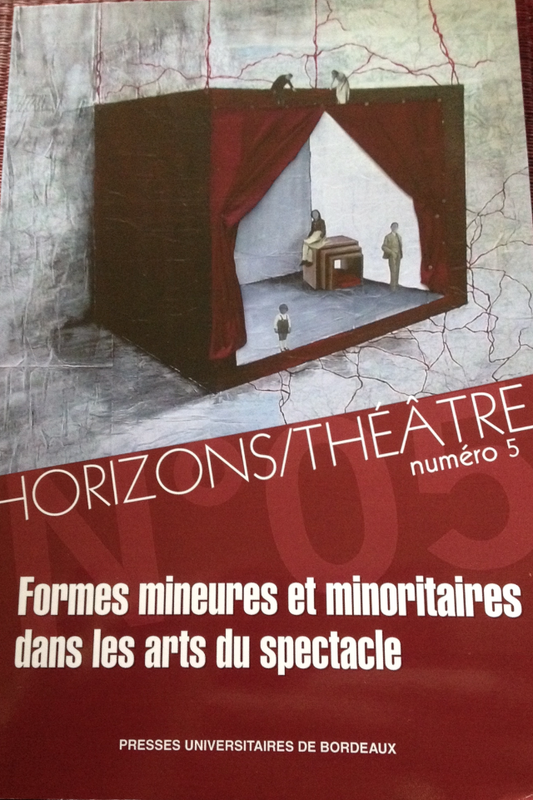 Writing for theatre and performance – a strong, arresting voice. 9 – 14 February 2015. From solo shows to dramatic speeches in multi-character plays, from Shakespeare’s rules of rhetoric to Mamet’s ‘beware the puppy dog speech’ – this course will take an in-depth study of the skills, approaches, aesthetics and practices that create dynamic, effective and effecting dialogue in performance writing. The course will be highly intensive and for committed playwrights, offering a mix of theory and practice, practical workshops, sharing of work with mutual and critical support, and reading assignments set in advance. the different ways a story is told through dialogue – from contemporary solo performance pieces to reinventing ancient texts. point of view, back story, and how to create the world of the play through language. how to write credible, lively, engaging dialogue and reveal character and action through speech. how to manipulate pace and tempo-rhythm, create tension and sustain interest. The skills and techniques explored will benefit all writers for performance, not just those engaged in solo shows, and ideally for those already with some experience in writing for theatre. Those interested in this course, please contact Tŷ Newydd Writers’ Centre at the address below.